Last week may have marked the beginning of fall, but as you can probably tell by my table setting, where the only signs of fall are a few white pumpkins, I’m not ready to give up on summer. The trees are still mostly green here, but hints of yellow and red are sneaking in. I’m holding out for another couple of weeks before I succumb to the change of seasons. I’m just not ready for the cold! I’ve already started research on my next book, which is also set in Montana. 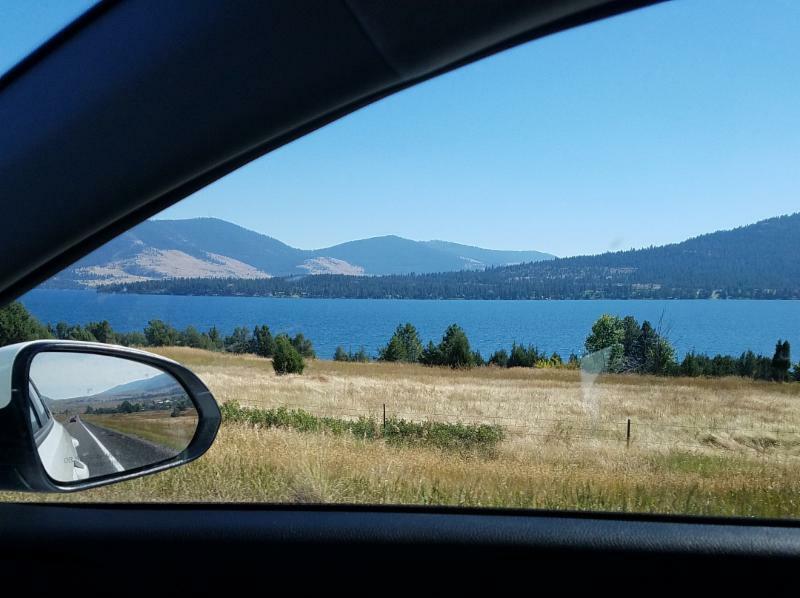 I went bar-hopping in Missoula to learn where the college kids drink and traveled U.S. 93, a road that borders bluer than blue Flathead Lake, driving from Missoula to Whitefish and the borders of Glacier National Park. I’ve been getting a feel for the terrain and the people, talking to ranchers and local police to see what delicious and daunting twists and turns I can come up with for my plot. Can hardly wait to get started! n case you missed my new book referral page last month, I’m recommending books by some of my favorite authors on my website. Click here to go to “Books Joan Recommends.” Watch for new suggestions each month. My son and I finished recording 3 new audiobooks to add to your collection. THE INHERITANCE, SHATTERED, and HAWK’S WAY: SISTERS, the sequel to HAWK’S WAY: MAC and HAWK’S WAY: COLT, are now available through my website Audiobooks page by clicking here. HAWK’S WAY: SISTERS, SHATTERED, and THE INHERITANCE to one winner, and one audiobook of your choice to three other winners. Contest ends October 31, 2018. Click here to enter to win, and good luck!